Primes & Zooms is the largest photography equipment rental place in Pune, with a database of professional cameras, lenses, tripods, telescopes, lights, and more. Photography geeks, if you haven’t heard of this place already – bookmark it, now! Primes & Zooms are a great way to switch up your photo and video gear, at reasonable rates. They have multiple pieces of the same gear as well, so availability isn’t that much of an issue. Choose from renowned brands like Canon, Nikon, Sony, Fujifilm, Panasonic, GoPro for camera bodies and lenses. There is also an extensive selection of audio equipment and astro gear that can be used to capture the starry night sky in all its glory. In addition, you can supplement your equipment with storage cards, bags and cases, filters, support gear, calibration tools, and more. The longer you rent something for, the more affordable the cost gets. We hear their customer service is amazing, and that they also give additional offers to students who present their student i-card during the registration process. You must register with them in order to be able to rent their equipment – so make sure you have all the supporting id proofs and documents required. For your first rental, you will be required to pick up your gear directly from their office in Model Colony. For future rentals, you can avail their home-delivery and pick-up service at extra charge. If you’re looking for equipment to buy or have some to sell, check under the ‘Gear Listings’ section of their website. 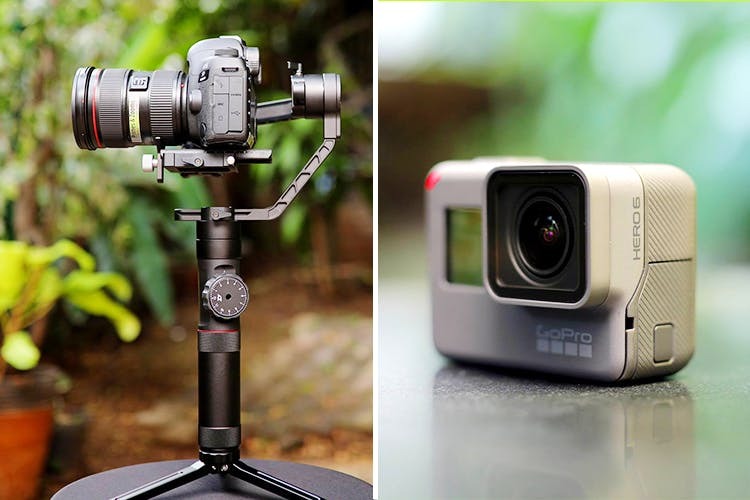 Primes & Zooms also host their own events, contests, promotions, gear sales, and workshops – so keep an eye on their Facebook page for all the latest updates.